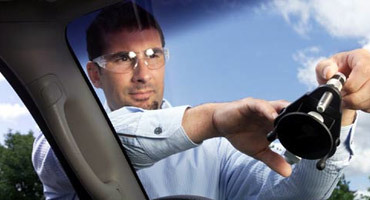 Save money by repairing your vehicles windshield rather than replacing them. 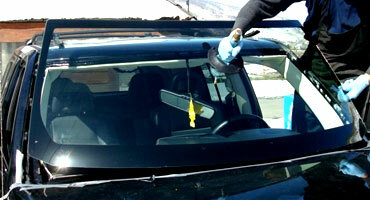 Windshield repair is safe, effective, convenient and takes less than 15-20 minutes to complete. Our team of specialists can repair chips, nicks and cracks up to 12 inches long. This prevents further damage and restores the structural integrity of your windshield, without removing and replacing the glass. Even that small crack can become a big crack over time. We are now using a better type of resin that is acid free unlike other resins that are being used by other glass companies. Crystalene Resins contain no carcinogens, are acid free, have no odor, are high strength, will not yellow, and have the highest optical clarity. It is important to remember the purpose of windshield repair is to restore glass integrity and prevent further cracking. A rock chip, ding or small crack repair will not be cosmetically perfect. Damaged areas can generally still be seen from the inside of the vehicle to varying degrees. Our job is to make sure we save you money by handling these repairs quickly. Did you know with full coverage on your vehicle these repairs can be no cost to you? One Stop Glass works with all insurance companies to help keep money in your pocket. No one wants to see your crack… so let us repair it! We replace windshields on all type of vehicles including cars, trucks, SUVs, mini-vans, RVs ,heavy machinery, and semi trucks. All our auto glass parts are either OEM or OEM-equivalent ensuring a perfect fit on your vehicle. Our certified technicians have years of experience enabling them to remove your old windshield and install a new one with high quality adhesives and materials, and in a very timely manner. Found a cheaper price elsewhere? Talk to us and show us your quote and we'll match it so that you don't have to sacrifice quality work and materials by going elsewhere. We want you to choose us so that we can provide you with the best service and high-quality materials and make sure you're completely satisfied and confident with your new glass, so we're willing to price match so that you get the best of both worlds. We've got you covered..in more ways than one!! Not only are we experts on glass, but over the years we've gained experience in other areas so that we can truly be your One Stop for all automotive needs! Here's a few of the other services we proudly offer you to help keep your vehicle in great condition. Get rid of that ugly yellow film on your headlights for more clarity! In El Paso, tinted windows are almost a necessity! We'll get you covered and help keep your car a little cooler. So easy to damage, but so easy for us to repair! Call or email for more info. Special cars require special care! We'll repair glass on your classic car with extreme care and detail. Power windows are pretty useless when they're not working. We can fix that too! Not quite a road vehicle? That's ok, we'll repair or replace glass on all your heavy machinery as well. Call us for a quote! Fill out this form for a quote on your vehicle!